When you think of warehouse parties and electronic dance music culture, cannabis may not be the first drug that comes to mind. Nicole Paige Kohen would like to change that. She’s attempting to merge the worlds of dance music and cannabis with her website, THC N Techno. Kohen, 25, was born in Santa Monica, and she currently lives in Manhattan Beach. 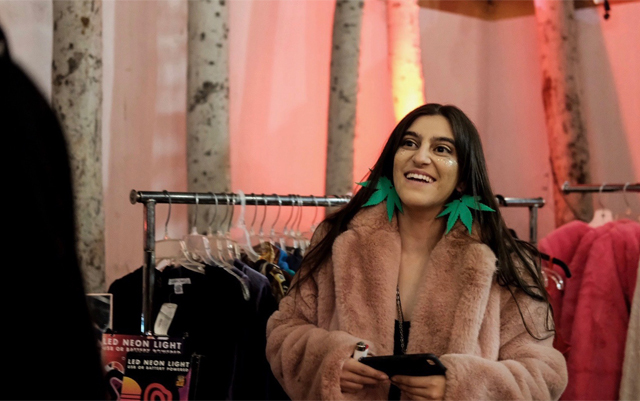 She credits the relaxed culture of Southern California and her parents for helping her find cannabis culture so young. “When I was sixteen, it was 4/20 and I told my dad ‘I want to smoke weed’ and he told me, ‘Okay, I’ll let you smoke with me, if you’ll still respect me.’ I agreed, so he did. He videotaped me doing it, but then the next day he dropped his phone in the pool,” Kohen recalled, laughing at the memory. Even though she’s still young, Kohen talks like an old pro having grown up in the industry. She began working at one of the only dispensaries in South Bay when she was 24, until they lost their license in 2017. Shortly after she landed a job as a budtender at The Farmacy in Westwood, and says she loves the environment there. While other street drugs, such as molly and cocaine, may be popular in the club scene, they are also much more dangerous. While you can technically overdose on THC, no one ever has because it is almost physically impossible to do. 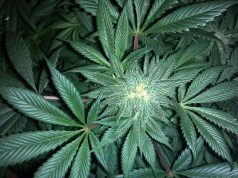 According to greencamp.com, “Someone would have to take 1,500 pounds of cannabis within 15 minutes in order to overdose. In other words, you’ll have to smoke between 20,000 and 40,000 above average size joints (with at least 0.9 grams of weed) in a quarter of an hour to die.” Even if someone could actually consume that much cannabis, there’s no way they could sneak it into a music festival. “It’s the safest. And now with all the legalization going on, they’re going to be merging it (cannabis and dance cultures). We’re going to a lot of clubs or bars now that have CBD in their drinks or in their coffee. Or parties that do massages with CBD. There’s one festival up north, the Northern Nights Festival, they actually endorse cannabis and have a whole set up there.” The summer camping festival on the border of Humboldt and Mendocino countries is part of a growing faction of events that boasts a variety of cannabis companies on their sponsor lists. Kohen has been soaking in the industry since her teens, slyly learning the tricks of the trade with a smile on her face and a broader vision deep in her pockets. Unlike most young adults, who at some point need to stop partying and get a job, Kohen hopes to turn her partying into one. Using her knowledge of cannabis and dance music, she may just be able to pull off a perfect remix. Previous articleWhat’s Next for Florida Medical Marijuana Patients? 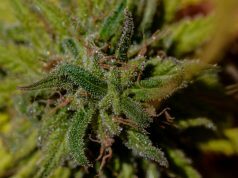 Next articleHow Extensive Could Automation Be in the Legal Cannabis Industry? Samantha Jane Gurewitz is a writer and comedian who works in the Los Angeles cannabis industry. She wrote the 'Weed Science' segments on The Way Highway podcast on idobi radio, contributes to The National Lampoon presents: The Final Edition podcast, and is on the cannabis product rating committee at AProperHigh.com. As an ancient stoner who’s been burning the sacred herb for over fifty years, I gotta say that the music on All of US really rocked me good. Makes my old heart proud that the younger generations are keepin’ on pushin’ the music and the “weed”.